As wedding professionals, we make it our business to stay on top of the annual wedding trends. 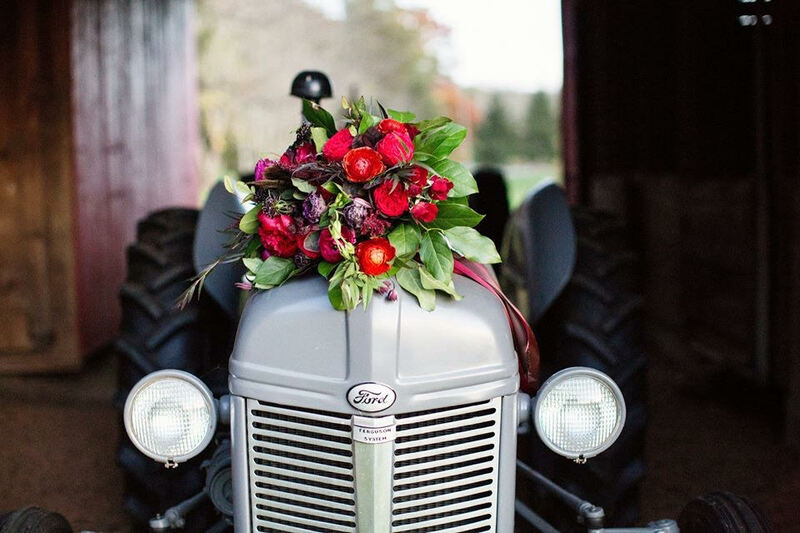 We’ve designed Gatsby-era ceremonies, hung elaborate floral centerpieces, and worn our fair share of flower crowns. If it’s hot on The Knot, we know ALL about it. We educate ourselves on what’s trendy to best serve our brides, ready to execute the wedding of HER dreams as she sees it in her mind and feels it in her heart. In that way, I guess we’re a little like wedding genies: your wish is our command! Planning a wedding suited to your style and personality is of the utmost importance; every wedding should be unique to the couple saying their “I do’s.” Whether it’s trend focused or traditionally minded, your wedding must reflect, in essence, who you are. 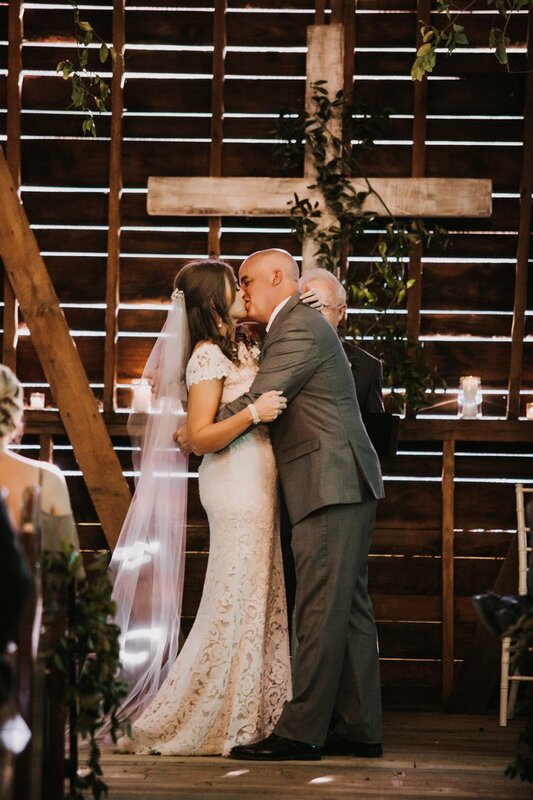 Choosing the right wedding venue becomes incredibly important as it acts as the backdrop — the stage, if you will — of your love story’s romantic apex. In our book, the ideal wedding venue complements the couple’s personalities and wedding design while underscoring the inherent beauty of their wedding locale. A perfect example of this is Honeysuckle Hill, an Asheville-area wedding venue steeped in southern charm and natural elegance. And did we mention it comes with a mountain view that’ll knock your socks off?? 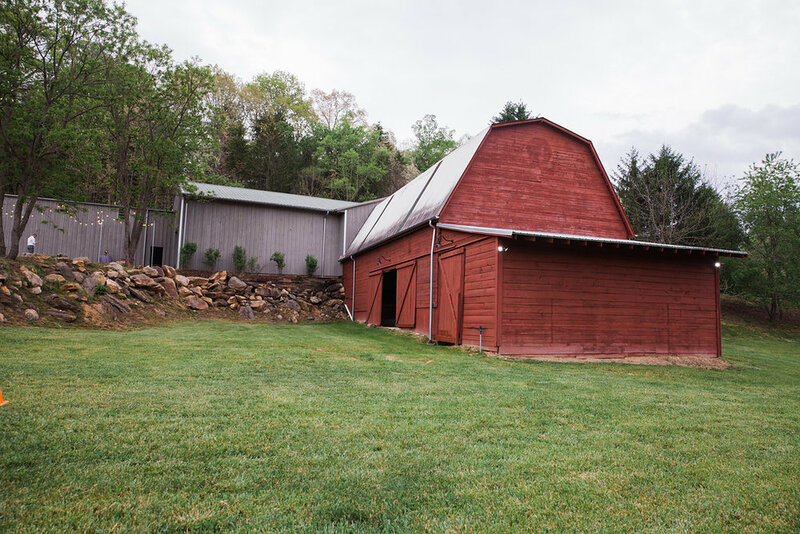 The Barn at Honeysuckle Hill sits on nine acres of rollings fields with sweeping views of the Blue Ridge Mountains, yet it sits only seven miles from downtown Asheville. The historian will appreciate its roots as a century-old equestrian estate, while the romantic will fall in love with the flowering lily pond and tranquil willow trees. 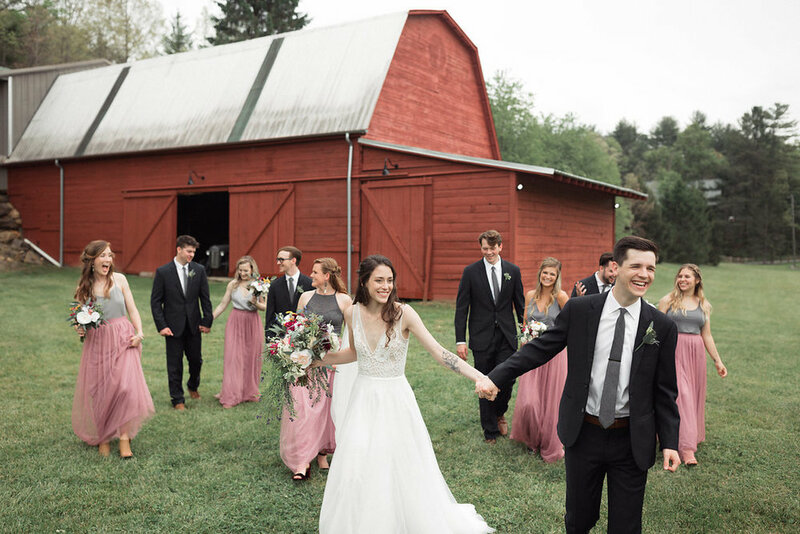 While many brides enjoyed Honeysuckle Hill as the ultimate venue for their barn wedding, the multifaceted property can be adapted to any bride’s preferred style. 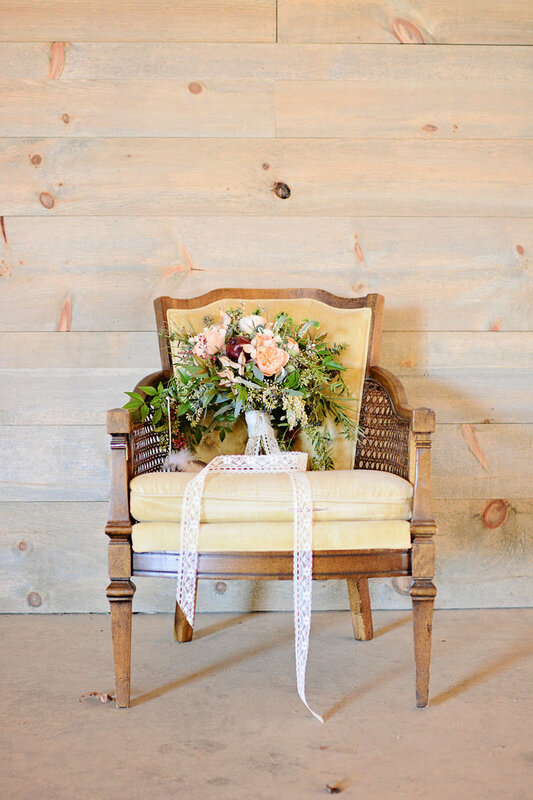 From bohemian to industrial, from rustic to elegant, Honeysuckle Hill can be transformed to emulate the personality of the bride and groom. The versatility of the property serves as the optimal blank canvas for any couple’s wedding and design. This video underscores exactly how idyllic and breathtaking the Honeysuckle Hill property is at every level. From the summer breeze tickling the leaves to the warm glow of the barn lights, there’s just something about this place that feels like home. Sure, we’re wedding experts, but our opinions only go so far — it’s YOU who must love every detail of your wedding plan! We find our couples love Honeysuckle Hill for a variety of reasons, each unique to their wedding and experience. 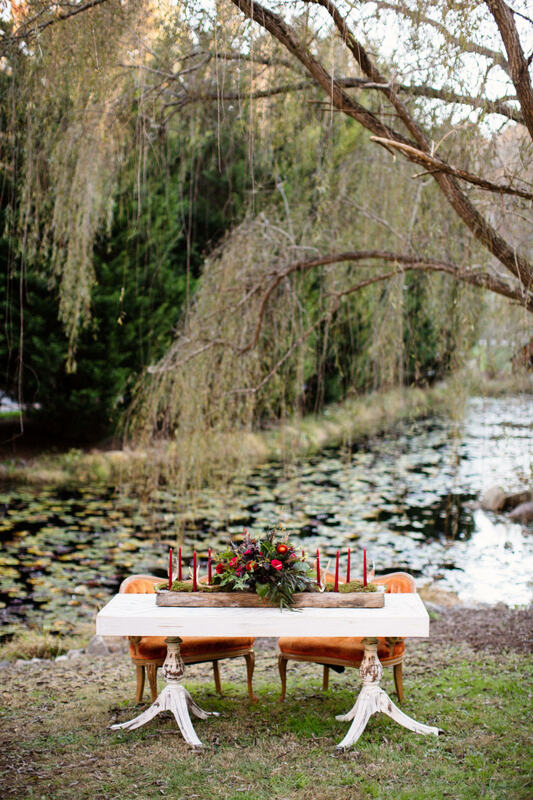 Brides and grooms who dream of an intimate outdoor ceremony swoon over the quiet lily pad pond and gazebo in view of the rolling mountains. 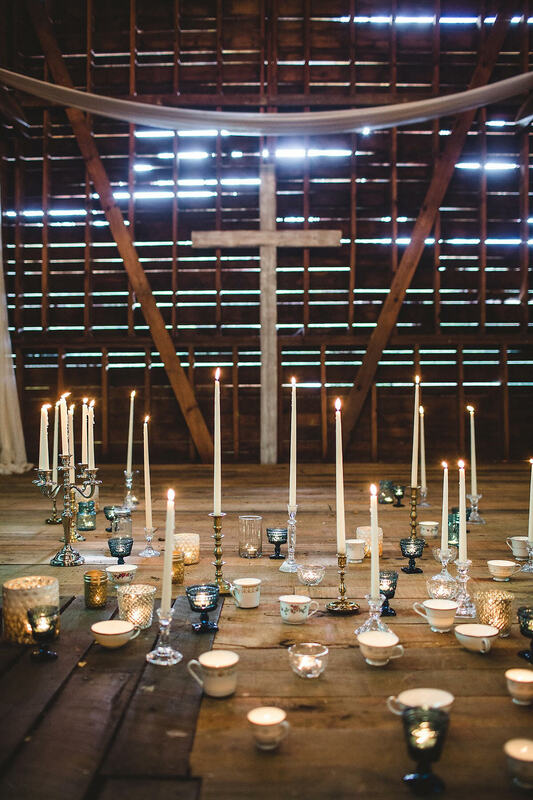 Traditionalists love the renovated antique barn and chapel that speak to the storied southern roots of the property. Couples (and their guests!) 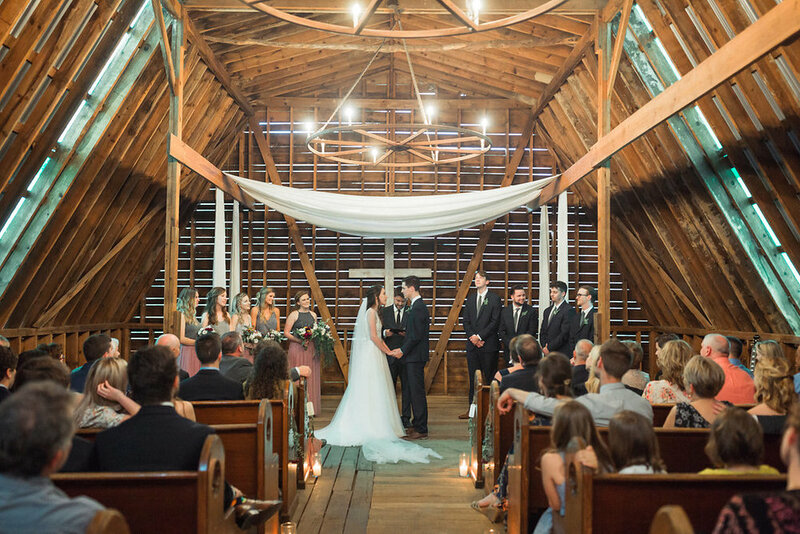 fall head-over-heels for the hay loft-converted chapel, 90-year-old church pews, and naturally knotted wood that enhance the native beauty of the mountain estate. 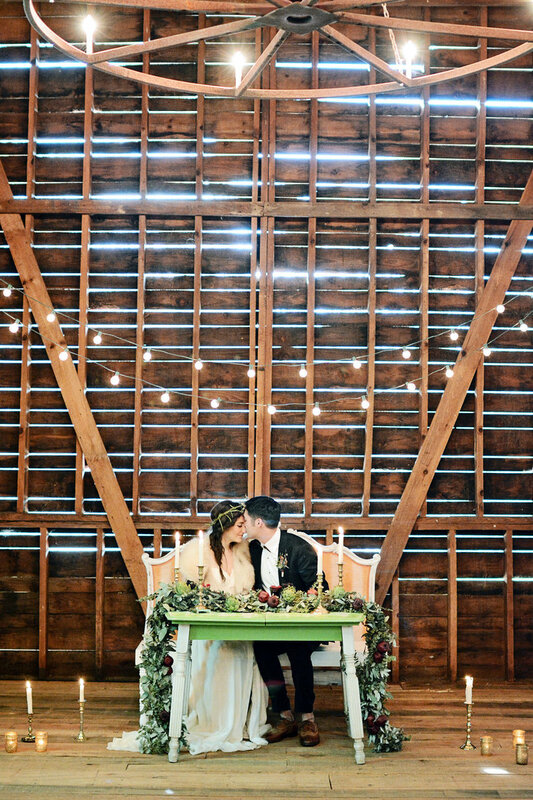 At Honeysuckle Hill, couples aren’t forced to choose an indoor OR outdoor wedding; the venue allows couples and all of their guests the perks of both. The reception area boasts hand-crafted industrial chandeliers (and the all-important roof for rainy days) as well as large garage-style barn doors that open up to let guests fully experience the beauty of the property. The on-site amenities at Honeysuckle Hill provide convenience so treasured by brides and grooms on such a big day in their lives. 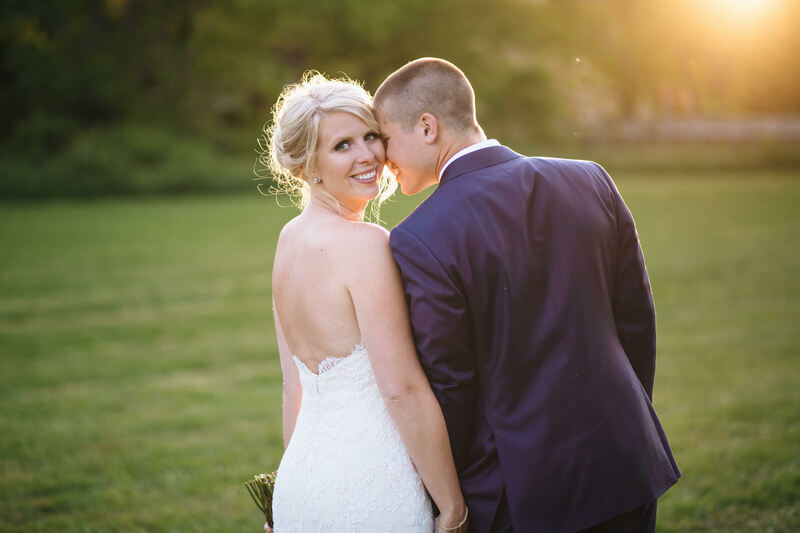 Tucked away behind the reception space are bridal and groomsmen suites in which wedding parties can get ready in, or for the bride and groom to escape to for a deep breath and private moment away from the crowd. 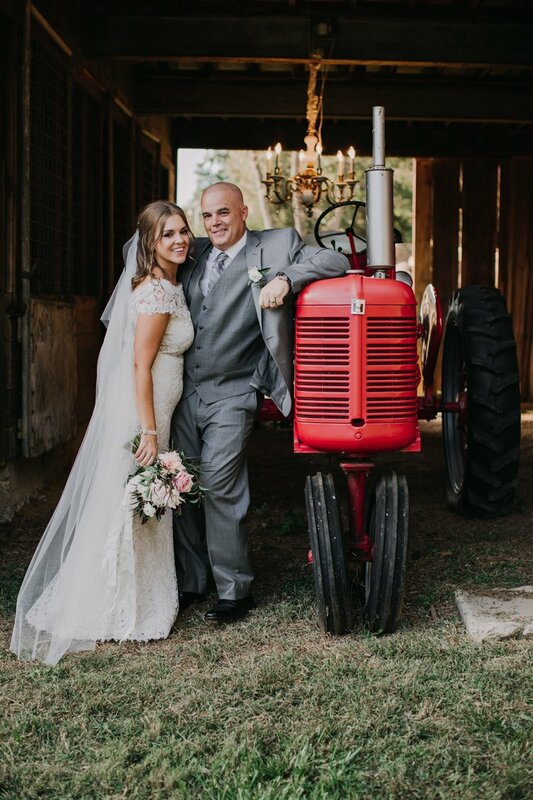 Decorated with modern flourishes to enhance the rustic atmosphere of the barn, couples enjoy the luxury these suites afford on their wedding day. In Asheville, we put a premium on all things locally owned and made. 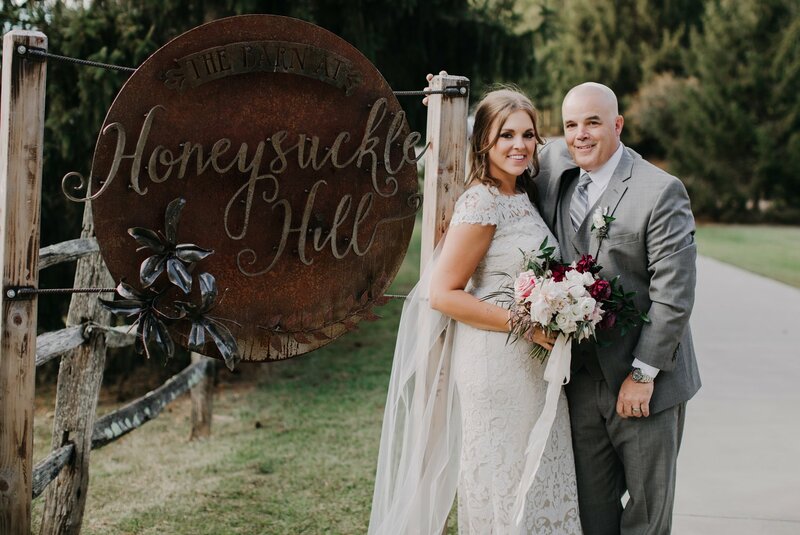 Honeysuckle Hill is owned by a family, Chris and Candace Hightower, who’ve grown up here, raised their family here, and now live out their dream of owning a wedding and event venue here. 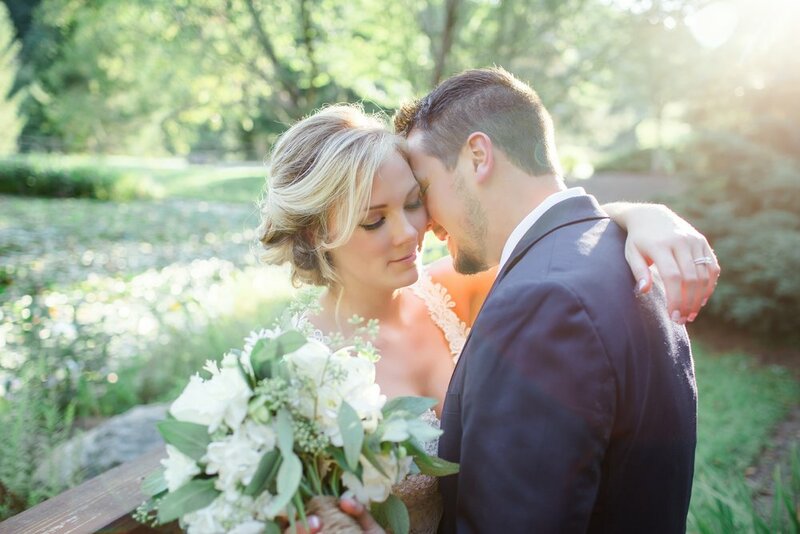 Candace, the owner of Mingle Events, worked in the wedding industry as a premier wedding planner, yet shared with Chris a desire to own their own wedding venue in this town they call home. When they discovered this nine-acre working farm and former equestrian estate, the knew they’d found their place. Their dream grew out of their love for the Blue Ridge Mountains and the desire to enable others to experience the enchantment of a mountain haven. The Hightowers envisioned a place that would embrace guests with its natural beauty and southern grace, along with the unique flair of Asheville. With Honeysuckle Hill, they found exactly what they wanted. Candace and Chris have poured their hearts into this estate, making extensive renovations to preserve its history and integrity while incorporating modern elements and aesthetics. Today, Honeysuckle Hill embodies the beautiful balance of old southern charm and contemporary design. 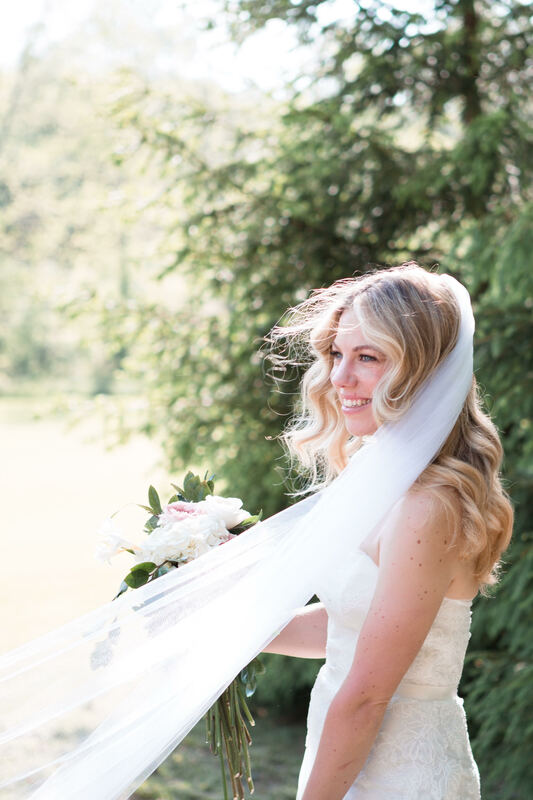 A southern girl through-and-through, Candace felt a calling to work in the wedding industry out of a strong desire to infuse life’s biggest moments with southern grace and hospitality. 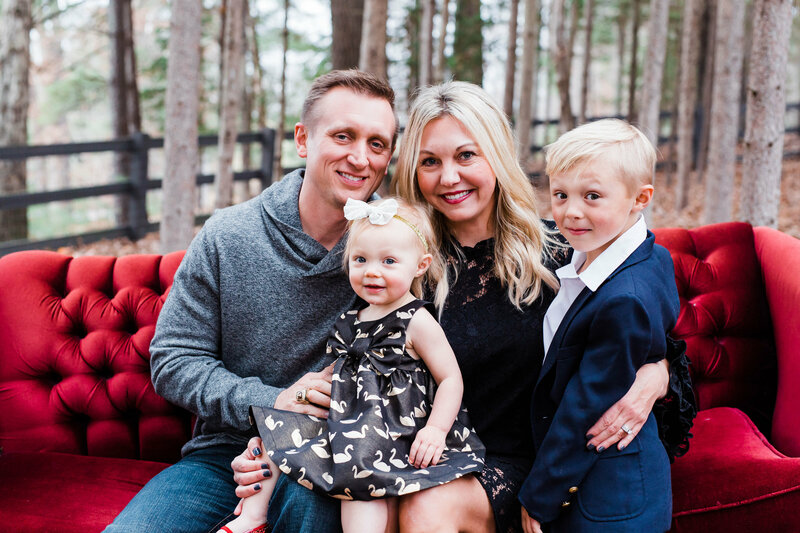 Thanks to her family’s loving support (not to mention her type-A personality), Candace turned her knack for meticulous organization, event design, and planning into a career that’s both her profession and her passion. 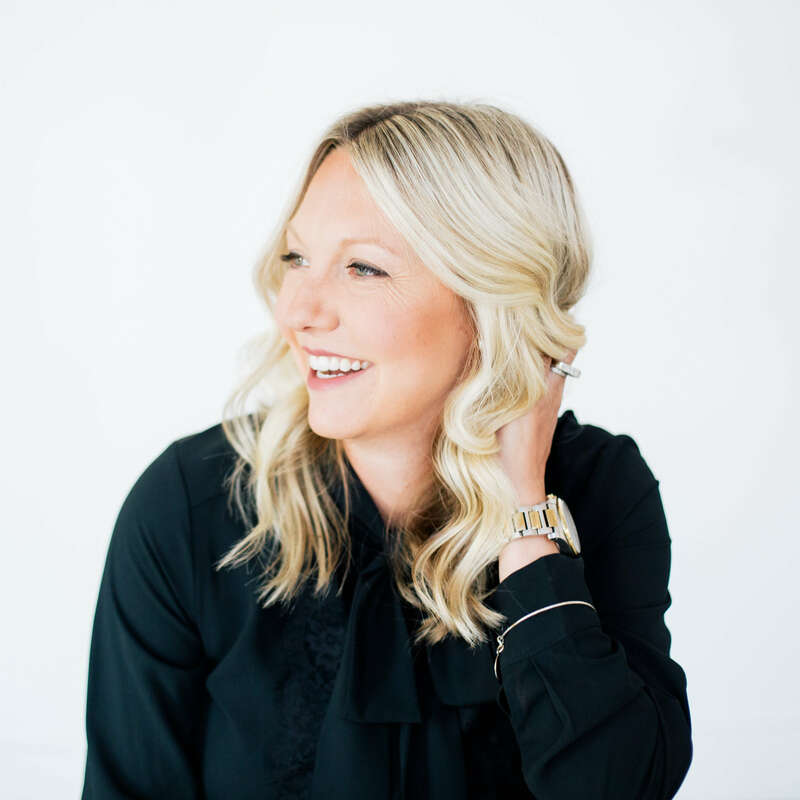 Since launching Mingle Events and Vintage Rentals, she’s had the privilege of helping over 100 couples make their wedding dreams come true! 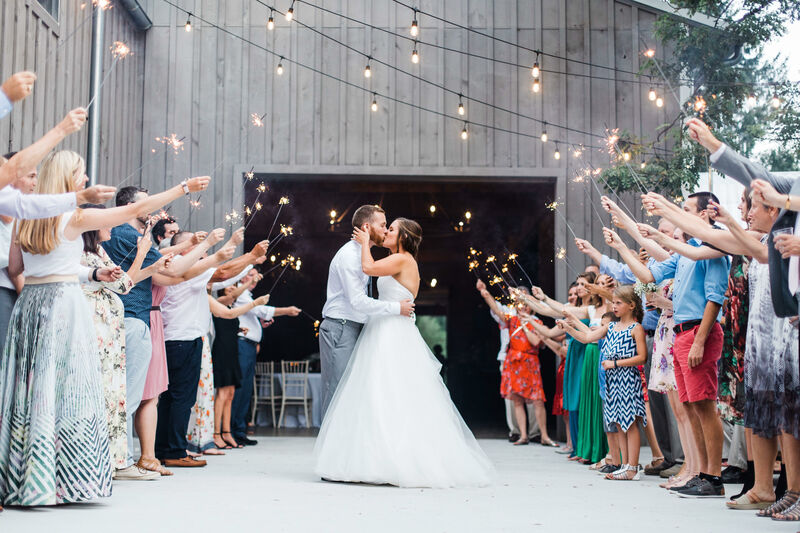 Upon opening Engaged Asheville, Candace pioneered the ability to offer couples a curated slate of local wedding vendors that stand out in their particular field of service. 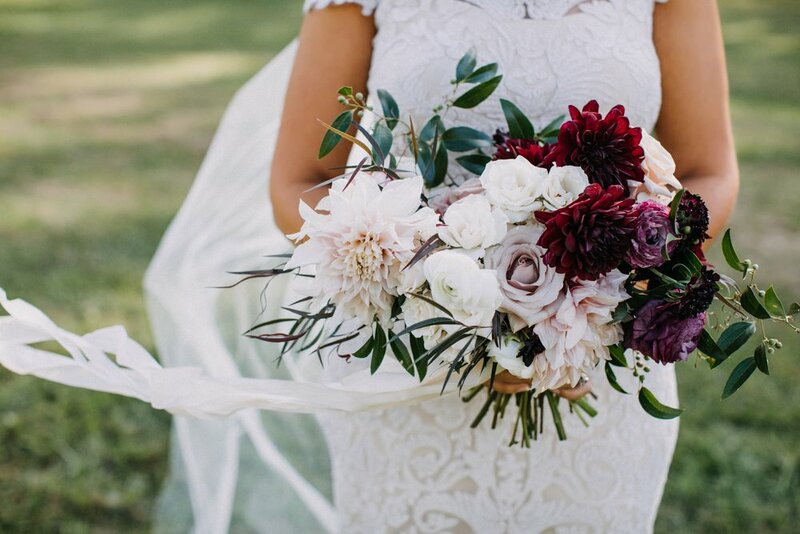 From caterers to makeup artists and florists, the Engaged Asheville team provides A-level expertise and creative vision from the comforts of their gorgeous studio designed by Candace herself. Our mission at Engaged is to always bring you the best of the best, which is why we’re so thrilled to share our special all-inclusive package with Honeysuckle Hill. Combining the beauty of their historic venue with our creative team’s range of experience, this package streamlines your wedding planning process to ensure your day is out of the box and one of a kind! The vendors participating in this package were hand picked by Candace, owner of Honeysuckle Hill, Mingle Events, and the Engaged Asheville studio. 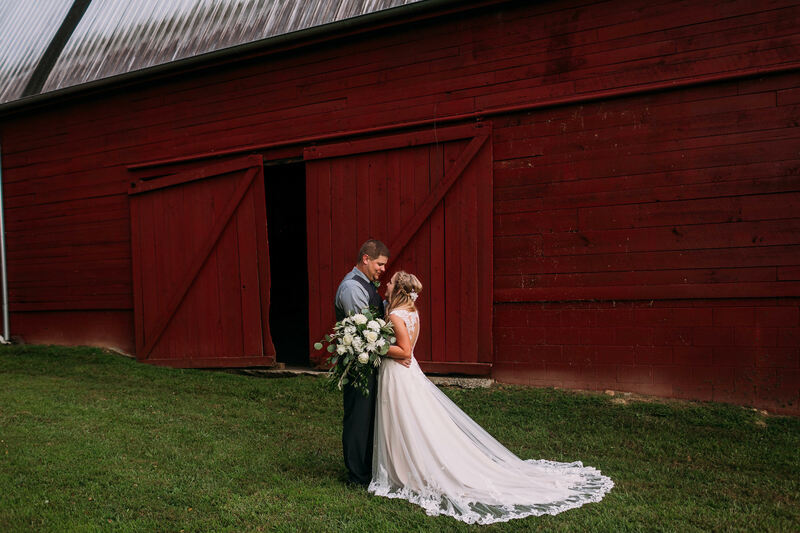 This team of professionals represents the best-of-the-best in their trade and rank supreme in the Asheville wedding community. Honeysuckle Hill cherishes all their couples and guests as well as the plethora of talented photographers that capture their special moments so beautifully! To contact The Barn at Honeysuckle Hill, please visit their official website. Click to see Honeysuckle Hill featured in several popular wedding publications!